In 2002, MASTERPLAN was founded by Roland Grapow and Uli Kusch, who both just split ways with Helloween. This new band should turn into a force to be reconned with very quickly: the debut album “Masterplan” made a huge impact on the scene in early 2003. Four highly-acclaimed studio albums were following within the next 10 years. Now MASTERPLAN finally release a Live album, available as BluRay/CD and DVD/CD sets, incl. 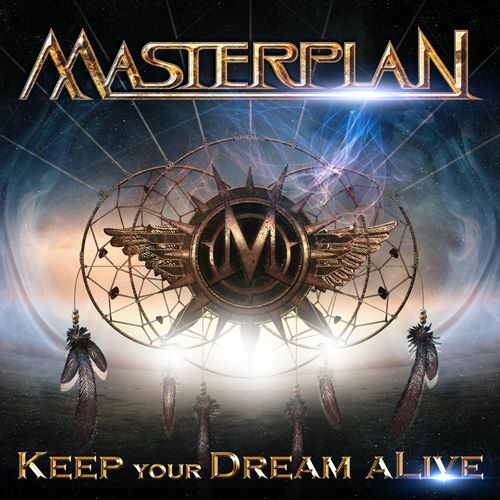 the full Masters Of Rock 2013 show, the Wacken 2014 show, footage from Asia tour, footage from Prog Power Atlanta festival and all (5) official MASTERPLAN video clips. The Masters Of Rock 2014 show is featured on the CD.